1. Take Highway 87 (Beeline highway) to Payson. 3. 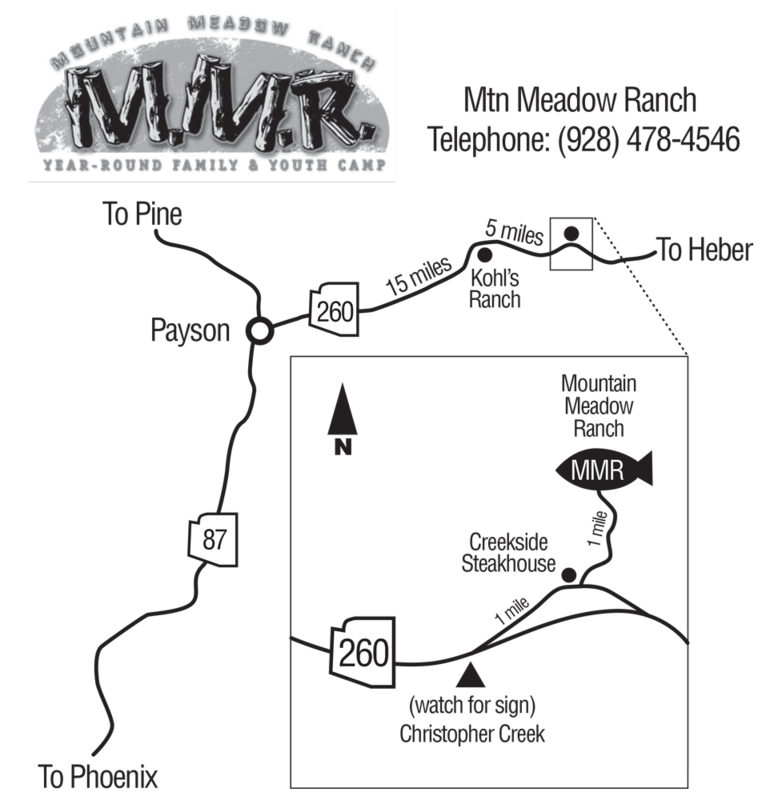 After you make the turn, make your way through Christopher Creek and take the dirt road off to the left, just past the Creekside Steakhouse. 4. Stay to the left at all Y-intersections. (dirt road is about half mile). 5. Follow the MMR signs until you see us.